Easter is the resurrection of Jesus Christ on the cross to redeem sinful mankind. In order to commemorate the resurrection of Jesus Christ, Persekutuan Mahasiswa Kristen (PMK) Maleakhi had held a celebration named Paskah Maleakhi 2016. This event is held to celebrate the death and the resurrection of Jesus on the cross and also be a way to demonstrate Jesus as the answer of all problem – a problem which faced by humans such as sin, death, and the devil. The theme of this event is “Be There, Be Blessed, Be Hatched” supported by Philippians 3 : 10-11. The sound of that verse is “That I may know Him, and the power of his resurrection, and the fellowship of his sufferings, being made conformable unto his death; If by any means I might attain unto the resurrection of the dead.” Paskah Maleakhi 2016 is carrying shape in the form of teaching the word of God from the worship and interaction between Christian students in general and PMK Maleakhi Faculty of Economics and Business students in particular. This celebration had been conducted internally and externally PMK Maleakhi. 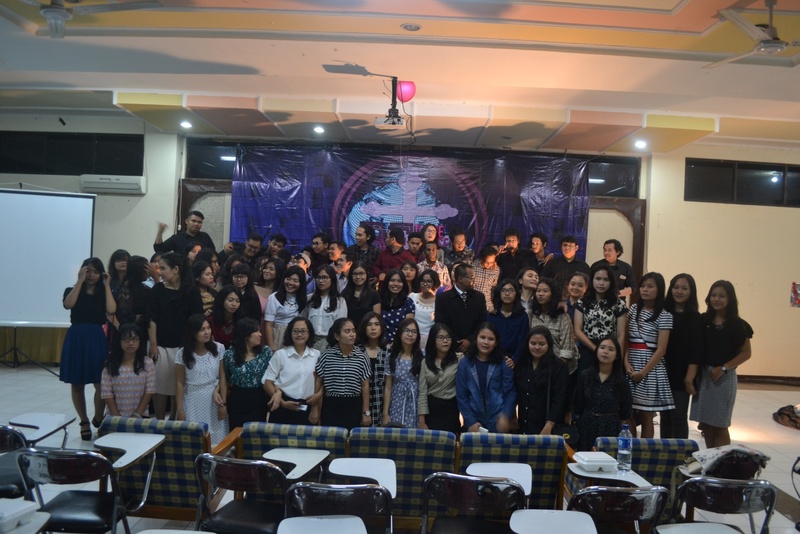 Maleakhi internal activities of Easter 2016, Easter Worship, had held on Saturday, April 23rd, 2016 at 3rd floor Auditorium of Building D Faculty of Economics and Business Brawijaya. The number of participants who attend the celebration is about 160 people, consist of committee, member of PMK Maleakhi, and also the guests from another PMK. Different with internal activities, external activities of the Easter celebration had held on Saturday, April 30th, 2016 at a rehab in the form of worship and the distribution of aid to rehab related. The participants who took part in this celebration is only committee , the board, and some members who had been appointed. The number is about 50 people. In this external activities, the participants was invited to interact and share love and joy with people at that rehab.